Sony Pictures is apparently “in the process” of making a large offer for the feature movie rights of the upcoming biography of Steve Jobs by Walter Isaacson, according to Mike Fleming of Deadline. The move isn’t surprising, and Sony has recent history of turning business success books into successful drama movies in The Social Network and Moneyball. I’m hearing the deal is $1 million against $3 million and that Mark Gordon will be the biopic’s producer. But this will be an MG360 project, which is the movie production partnership between Gordon and Management 360. 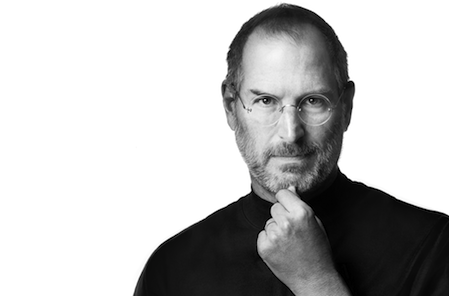 The release of Walter Isaacson’s authorised biography of Steve Jobs was this week moved forward to October 24th after Steve Jobs passed away this past Wednesday. Based on over 40 interviews and over 100 conversations with friends, family and competitors, the biography covers 448 pages. Walter Isaacson’s previous biographies include those of Albert Einstein, Henry Kissinger and Benjamin Franklin.